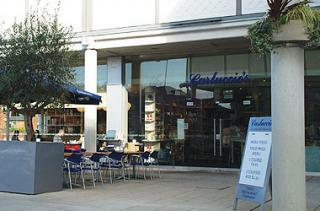 With the October Half Term holidays just around the corner, Carluccio’s is providing the perfect excuse for an Italian-style family feast with kids’ meals just £1 Monday to Friday from the 22nd until 28th October. Under 10s can enjoy a delicious main dish, dessert and a soft drink, all for just £1 with every adult main ordered. The kids’ menu features a choice of classic Italian family favourites including lasagne, hearty spaghetti and meatballs, risotto with ham and peas or chicken breast served with tomato and cheese. To finish, bambinos with a sweet tooth can opt for chocolate log, yoghurt with fresh blueberries and raspberries or an apple and blackcurrant lolly. Parents are looked after equally well with a menu packed full of authentic Italian dishes adhering to the late Antonio Carluccio’s food philosophy of ‘MOF MOF’ – minimum of fuss, maximum of flavour. As well as antipasti boards, pasta, small plates and grills, there’s a strong selection of vegan and vegetarian dishes. And, whilst the kids are busying away with their Carluccio’s activity pack, there might be time for a sneaky glass of Santa Sara prosecco – it is the holidays after all!